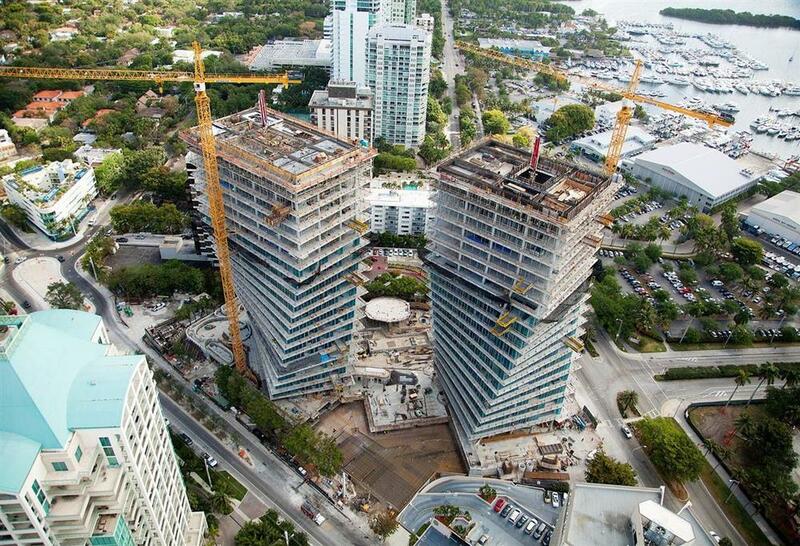 With its twisting, dancing glass towers, Grove at Grand Bay allows for panoramic views of Biscayne Bay. Its striking design is one of the world's most exciting architectural feats. The two buildings: North and South Towers are low-density with 98 residencies. The twisting towers frame into a concrete hat truss at its top level complementing its structural scheme. Kline Engineering designed both North and South hat truss girders to support the twisting columns framing from below. In order to model the hat truss and generate the required internal forces for design, an equilibrium analysis was performed for each girder. The girders were modeled and designed with bonded tendons using a 3-D fine element program. Due to the particular usage of the rooftop, several penetrations occurred at the girders resulting in an exciting and challenging project.